What I love so much about Shaklee is the people who are working with Shaklee. Everyone I have met so far has been encouraging and supportive of one another. It’s a great environment to be in, especially as you work to create your own Shaklee business. Through our many online communities and forums, Shaklee friends help share with one another great health and business tips to set you up for success. I had the pleasure of meeting Candice over one of these groups and asked if I could share a bit of her Shaklee story with you. Like all the amazing people I have met so far, Candice openly is sharing her story about how she got started with Shaklee and why she loves Shaklee so much. Cortney: How long have you been with Shaklee? Candice: I have been with Shaklee for a little over a year now. I joined in May 2014. Cortney: Are you currently a business leader? If so what level are you at now and where do you strive to be in the next few years? Candice: I am a director right now. I would like to be a coordinator by next conference. I have amazing women on my team who are pretty close right now to breaking out as a director, and many more that want it. 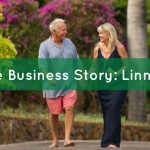 Cortney: Why and how did you get involved with Shaklee? Candice: I got involved with Shaklee thru an ex-co-worker of mine. She had ‘retired’ from her day job after having kids and was doing Shaklee as her primary income. When I saw that she was “doing it” I thought “I can do that!” I loved the ‘idea’ behind the products but hadn’t used them yet. I jumped in with both feet and went for it. I did NOT expect to fall so deeply in love with the products. I was a total vitamin skeptic but loved the idea of green cleaners. Cortney: Why do you think people should join Shaklee as a member or as a business builder? Candice: I actually just did a video on ‘reasons why to start your own home-based Shaklee business’. Here is the link. There are tons of reasons! Cortney: What has been the best perk since you discovered the Shaklee business? Candice: So many perks since joining!!!! The biggest in my mind (always has been and always will be) is the freedom. Freedom to work how and when you want to work. Freedom to design your life. Freedom to say NO to working a mediocre job until you are 58 years old and hoping you have enough money to retire. Ooooh, and biggest perk- going on an all expenses paid trip to California for the New Director’s Conference. I got to bring my husband and we had the best time. We got to tour the home office and meet all the people and learned so much. We got to go to a winery and and walk a red carpet. It was amazing! Cortney: What is the best advice you have received while working your Shaklee business? Candice: Best advice- It is the process that you go thru as you build your business that is the most valuable thing. It is all about the person you become. You grow and develop and learn and get turned down and you fail and you succeed and you grow more, etc. By the time you are done, you can take on the world. Cortney: What has been the biggest struggle with your Shaklee business and how did you overcome these obstacles? Candice: My biggest obstacle has been my own brain. I worried about what people would think about me, or if I would bother people, or if I would look stupid, or whether this was ‘right’ for me, etc etc etc. We are our own worst critics and enemies. One day I just had to say ‘this is ME’. If people don’t like me, that is not my problem. I still worry a little but I am better at catching myself before I slide down the rabbit hole. Cortney: What is your favorite Shaklee product and why? Candice: Vitalizer by far! I think the world should be on it or the new Life Strip. It is everything you need and it’s amazing. You feel like a super hero when you are healthy. If you don’t feel like a super hero, you’re missing something. Interested in starting your own Shaklee business and creating your Shaklee Effect? Get Started Today!